Spinach (Spinacia oleracea) is an excellent source of folic acid. 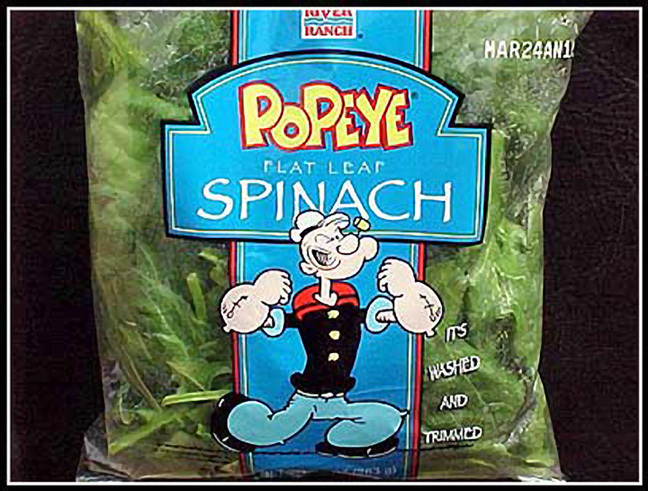 In the United States, spinach leaves are associated with the legendary cartoon character Popeye®. Contrary to some reports, the leaves were not smoked by Popeye. Instead, they were sucked through his pipe to provide an iron-rich, nourishing food supplement and enlarged forearms. Most morning glories (Ipomoea) are blue or purple. 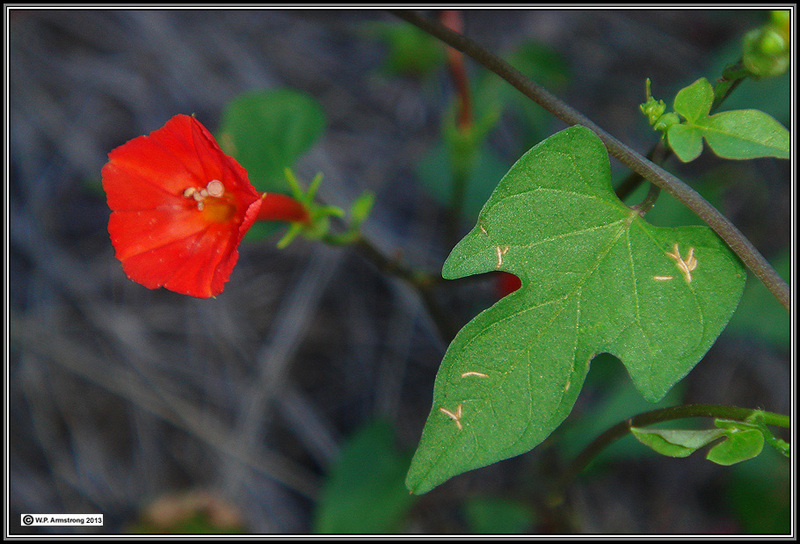 Here is an unusual, red-flowered species (I. coccinea) that I found growing wild in southeastern Arizona. It is called the scarlet creeper. More information about morning glories. 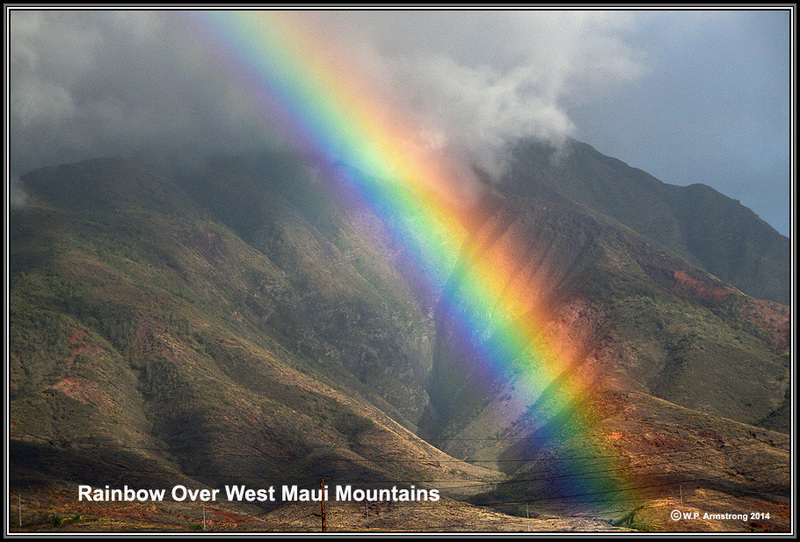 Greetings from the Colorado Plateau and White Mtns of Arizona. 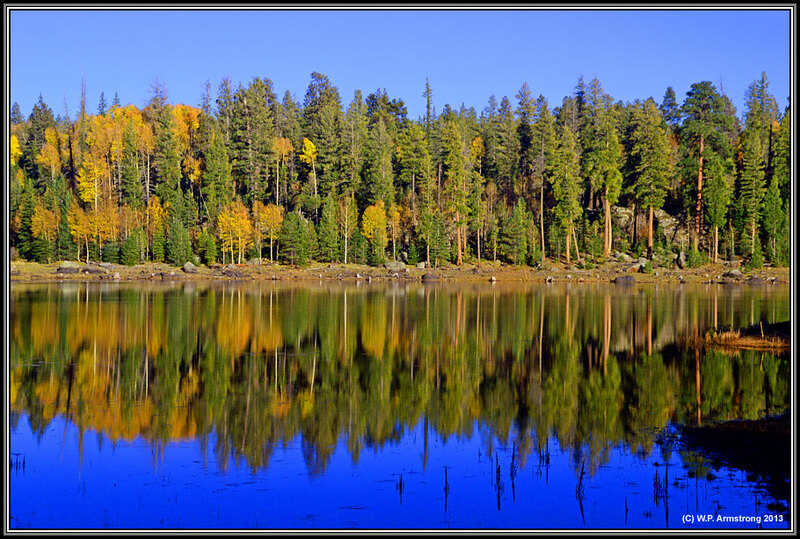 Autumn is here, but the aspen leaves are falling rapidly with each gust of wind. 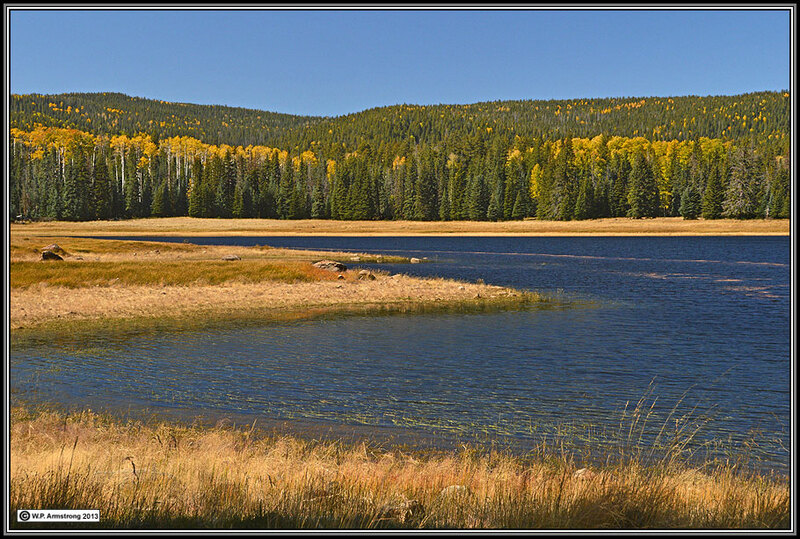 This lovely place (Lee Reservoir) has not been affected by the ridiculous government shutdown; however, all the national parks and campgrounds on federal land are closed. Greetings from Holbrook, Arizona. 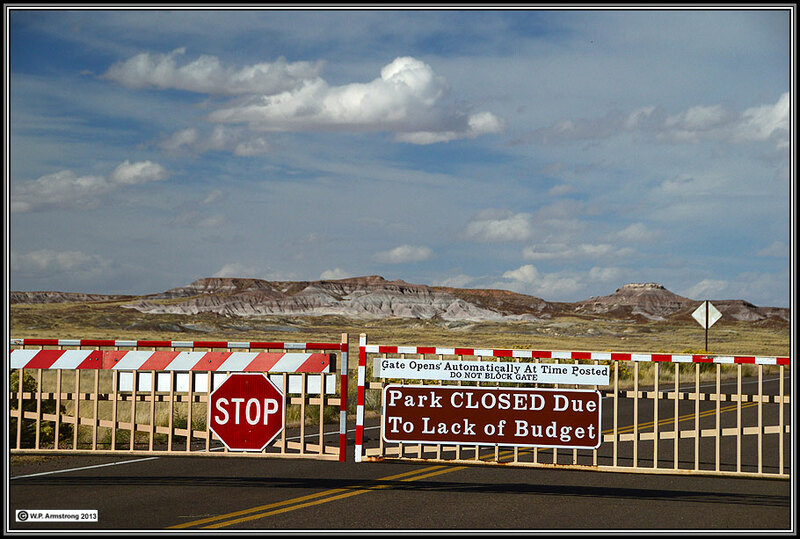 The outrageous government shutdown has closed Arizona's Petrified Forest National Park and Painted Desert. This unfortunate closure is due to the idiodic and egregious behavior of a small faction of the Republican Party. 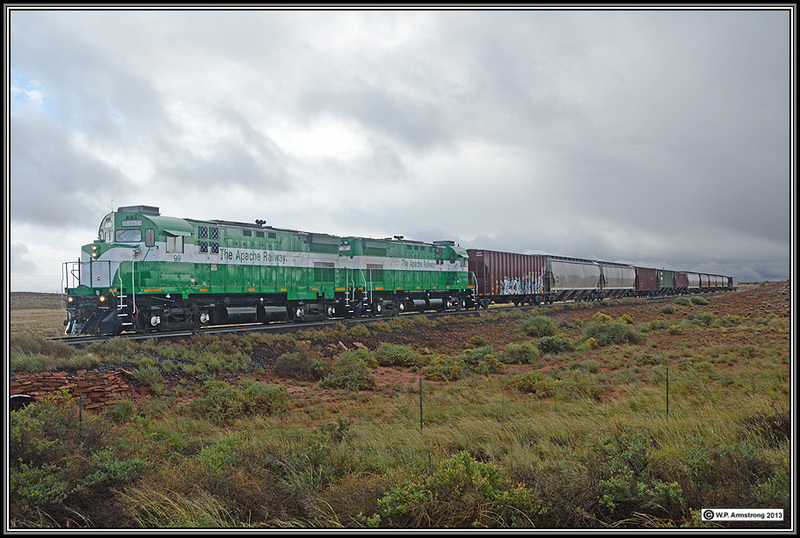 My favorite train: The Apache Railway between Snowflake and Holbrook, Arizona. The picture was taken during high winds and frozen ice pellets. By the way, Snowflake is named after the Mormon founders, Erastus Snow & Jordan Flake, not after the frozen, crystalline precipitation. Heading south from Arizona's White Mtns on the Colorado Plateau. It is difficult to leave this beautiful place. 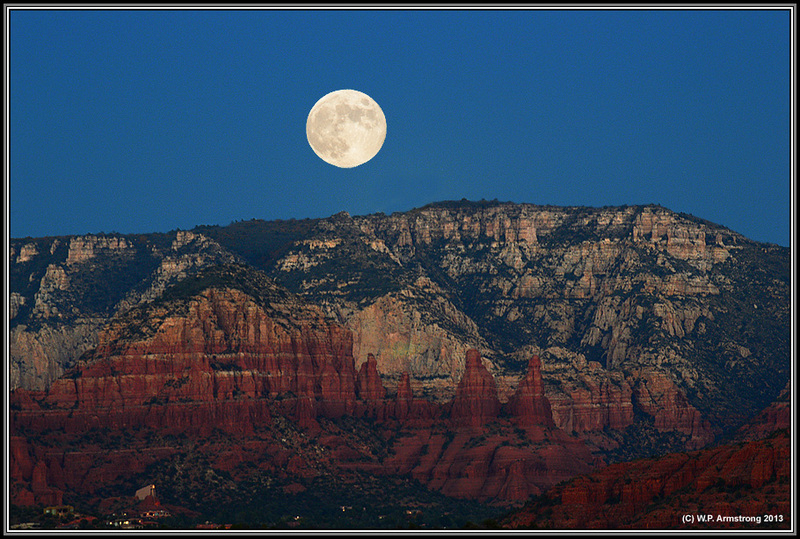 Hunter moon rising over the colorful sandstone formations of Sedona, Ariz. Photographed last night at 6:00 P.M. (18 October 2013). I really like the amazing gourd family (Cucurbitaceae). It contains the undisputed largest ripened ovary. 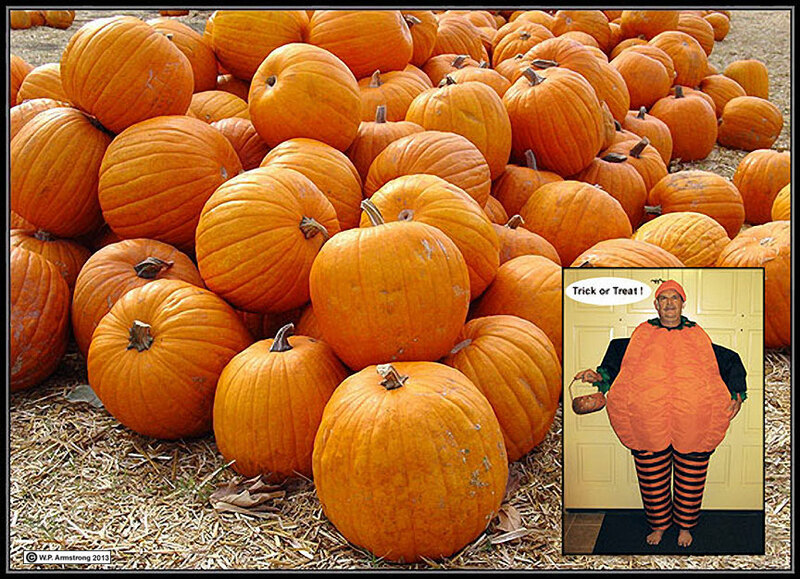 I guess I will dress up like a pumpkin this Halloween! 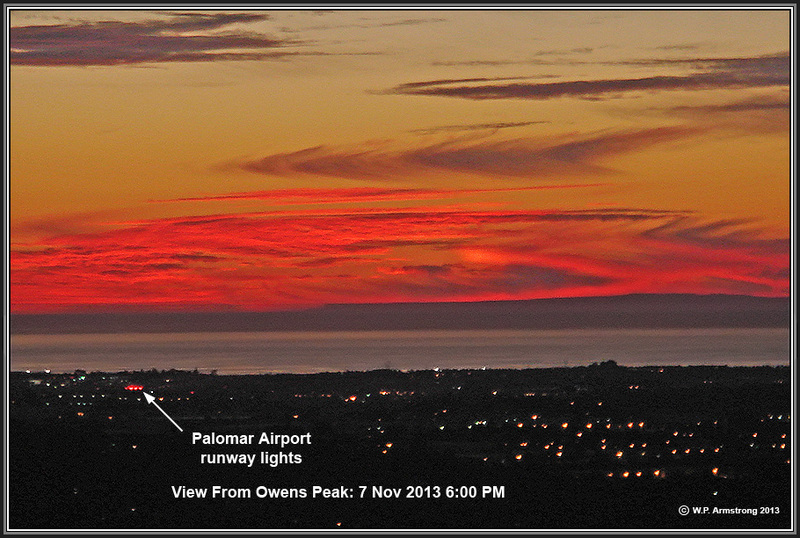 Sunset from Owens Peak looking west toward Palomar Airport and the ocean. 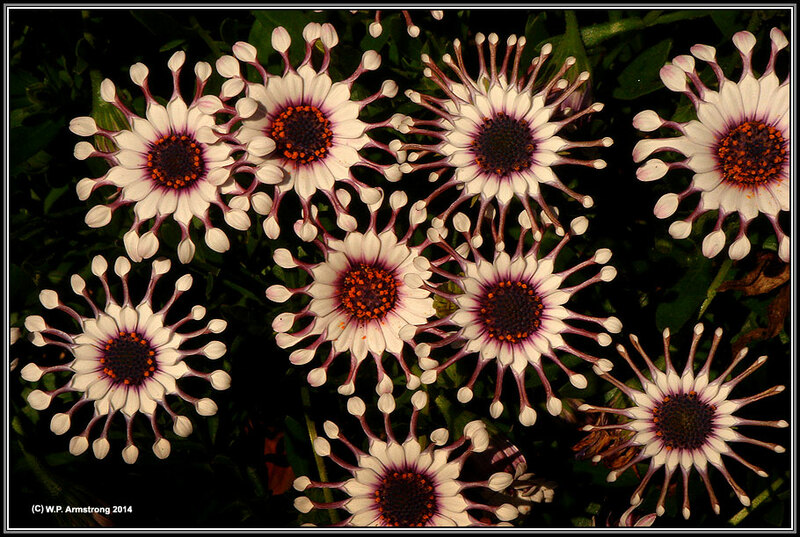 Taken with a mini point-and-shoot Sony T-10 on 7 November 2013 at 6:00 PM. 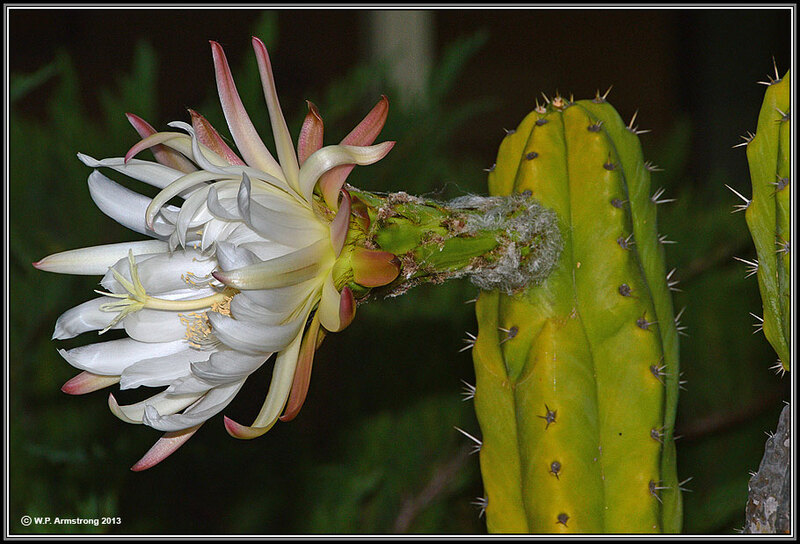 My South American, night-blooming San Pedro cactus (Trichocereus pachanoi = Echinopsis pachanoi) is flowering again. 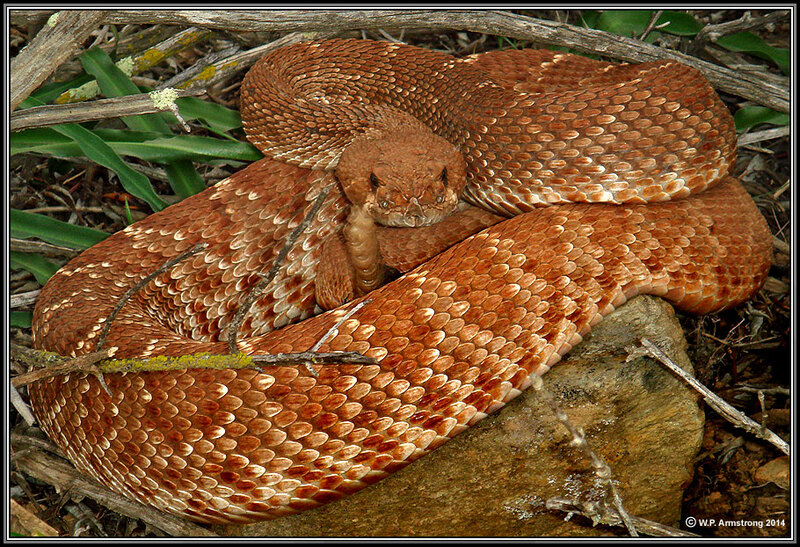 This species contains the alkaloid mescaline like the well-known peyote cactus. 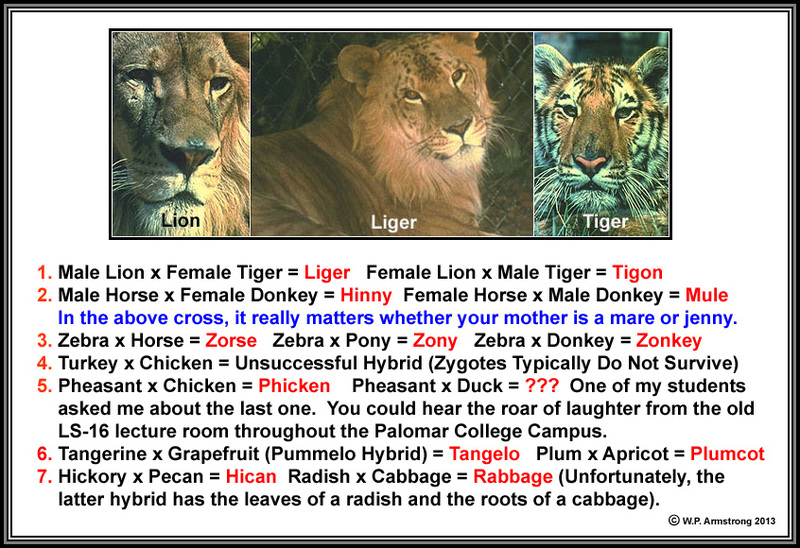 For some reason, its mother plant at Palomar College has been getting smaller and smaller over the years. 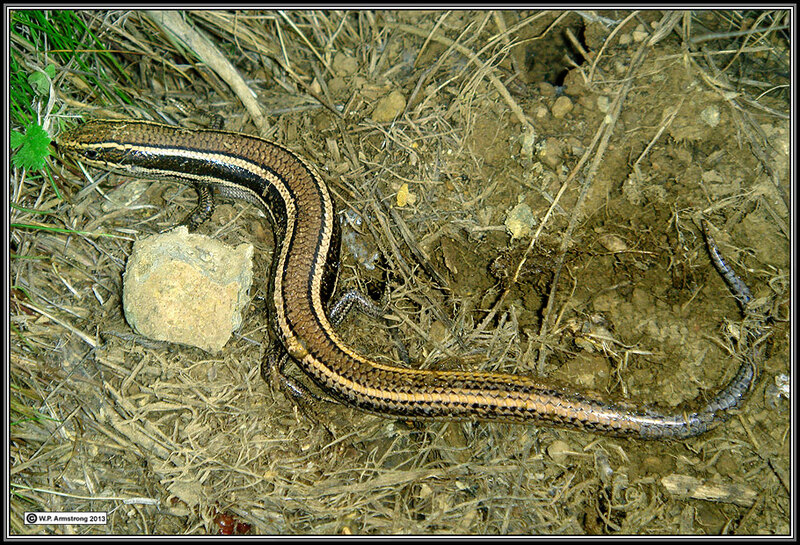 Yesterday I was surprized to find a western skink (Plestiodon skiltonianus) on Owens Peak north of Palomar College. This intersting lizard has a wide distribution along the Pacific coast of North America, from Baja California to British Columbia, and throughout most of the Great Basin. Juveniles have a conspicuous blue tail. 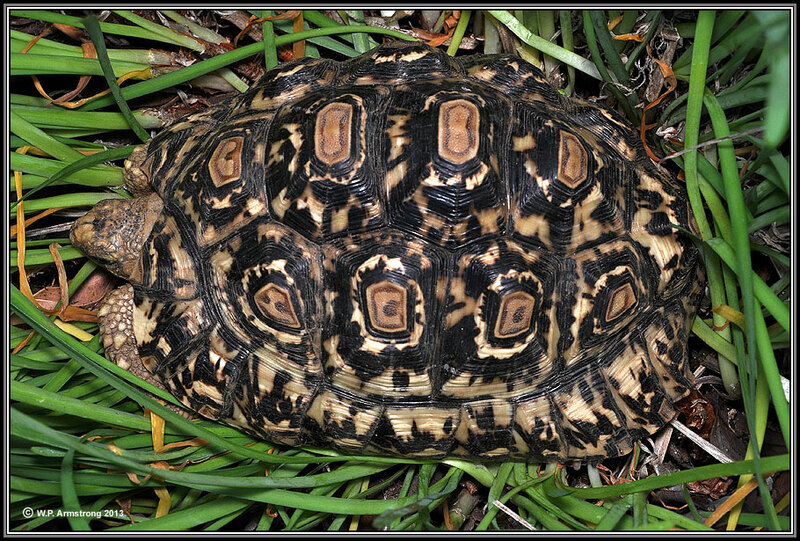 Yesterday I was surprized to find a juvenile leopard tortoise (Stigmochelys pardalis) at my home in San Marcos, apparently an escapee that has been spotted in my neighborhood for the past year. 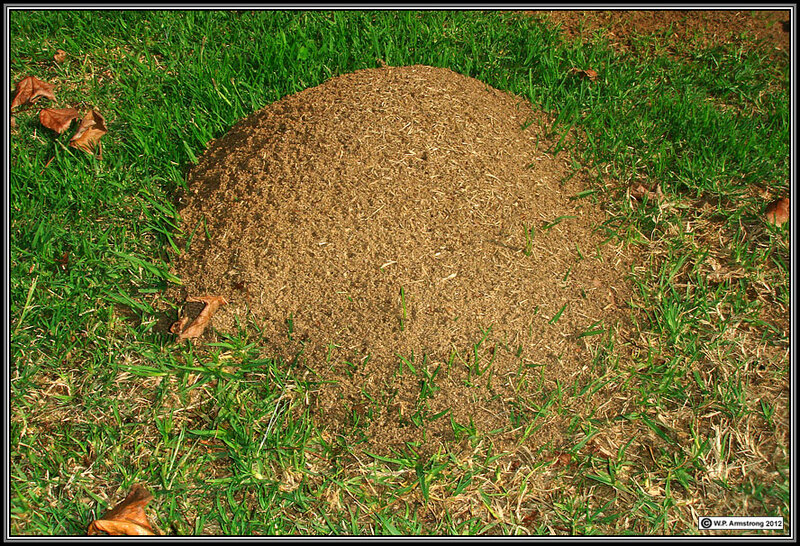 It is native to savannas of eastern and southern Africa. 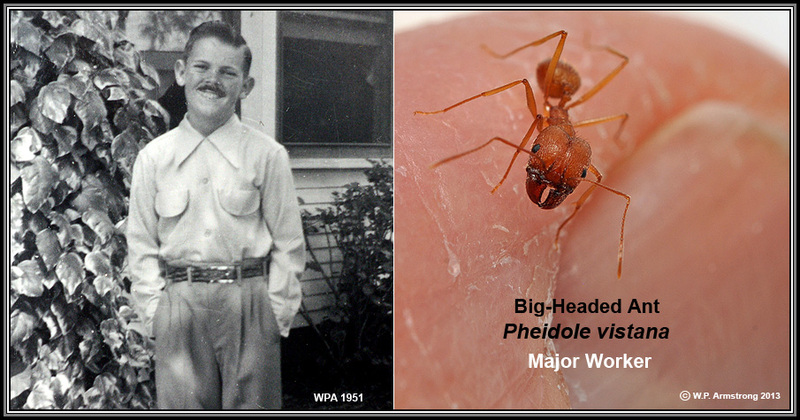 According to Wikipedia, typical adults are 18 inches long and weigh 40 pounds, although some can get much larger and can live 80-100 years. The enviroment at my home is not suitable for this beautiful tortoise so I am donating it to the San Diego Turtle & Tortoise Society. 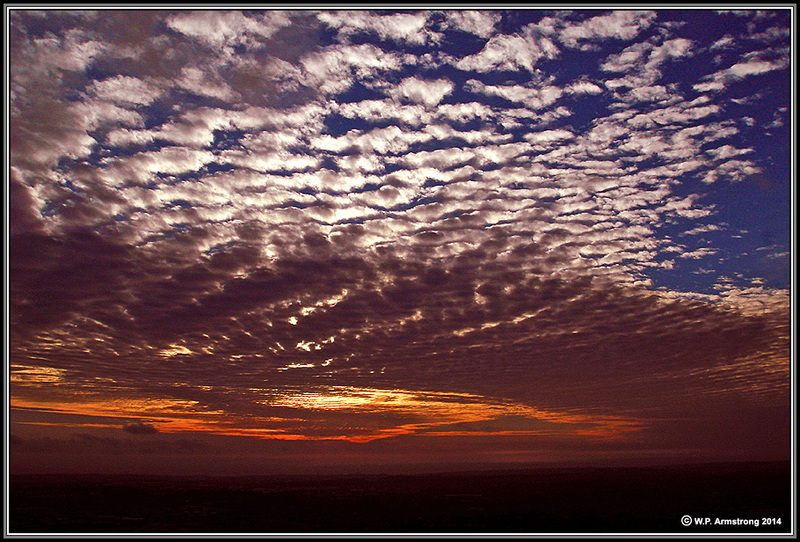 Last night's sunset from Owens Peak in San Marcos looking west toward the ocean. 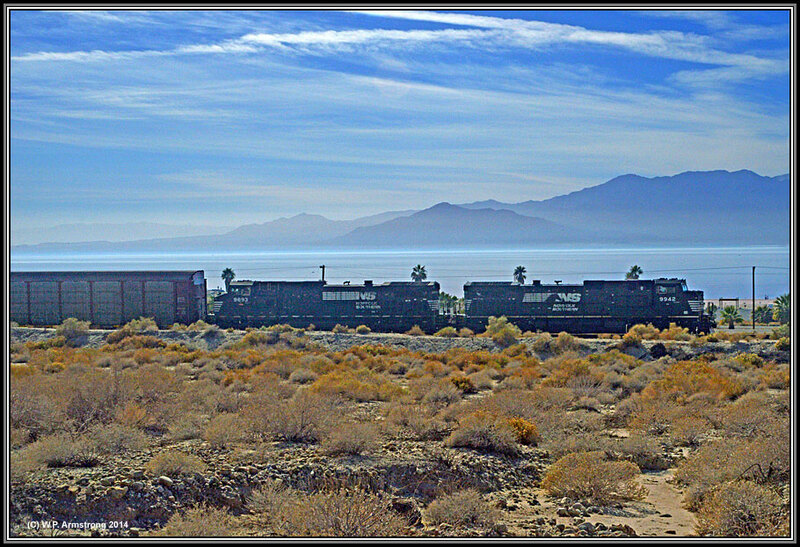 When the sea of urban sprawl is not visible, I feel like I am somewhere else! If you happen to be at Stockholm University, Sweden during March & April (2014), I have an image in the plant fiber exhibit at Bergius Botanic Garden. 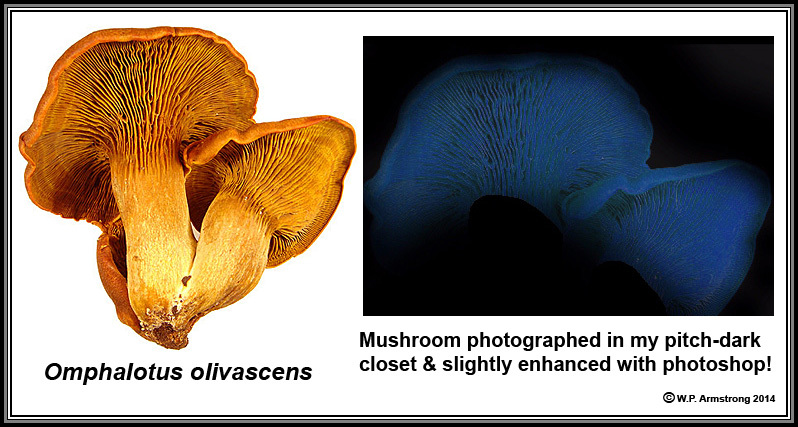 Although some Internet sites deny this phenomenon in this species, I swear this mushroom near my home in San Marcos glows in the dark (bioluminescence). And I wasn't eating any small brown mushrooms! 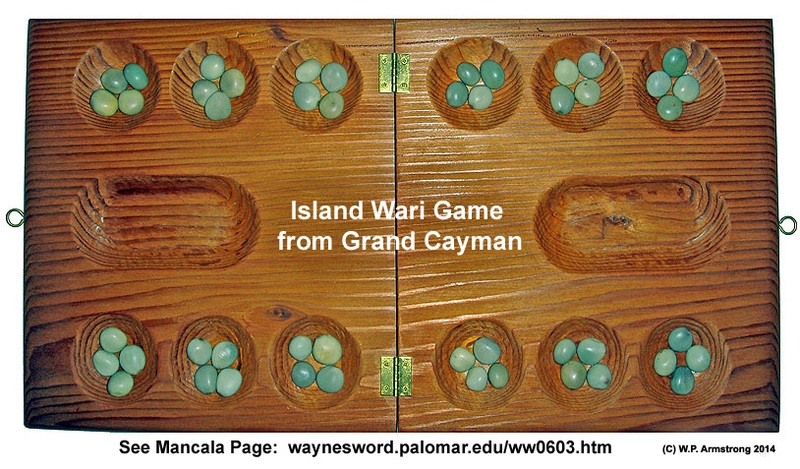 Many years ago on a Palomar College field trip to Grand Cayman, I became fascinated with a board game called "Island Wari," a variation of the ancient African game Mancala. 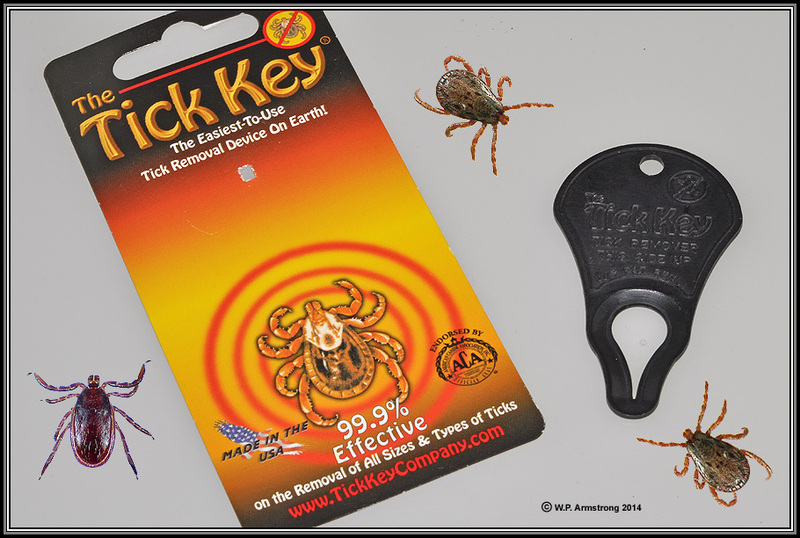 It was played with large gray seeds from a native Caribbean shrub called gray nickernut (Caesalpinia bonduc). There are also clever computerized versions of Mancala. I recently found a YouTube video showing how to beat the computer in a challenging on-line Flash version: YouTube Video. See Mancala Page On Wayne's Word: Mancala. I just visited "The Largest Blossoming Plant," one of the Guinness Book Of World Records "Seven Horticultural Wonders Of The World" at a private residence in the quaint city of Sierra Madre, CA. 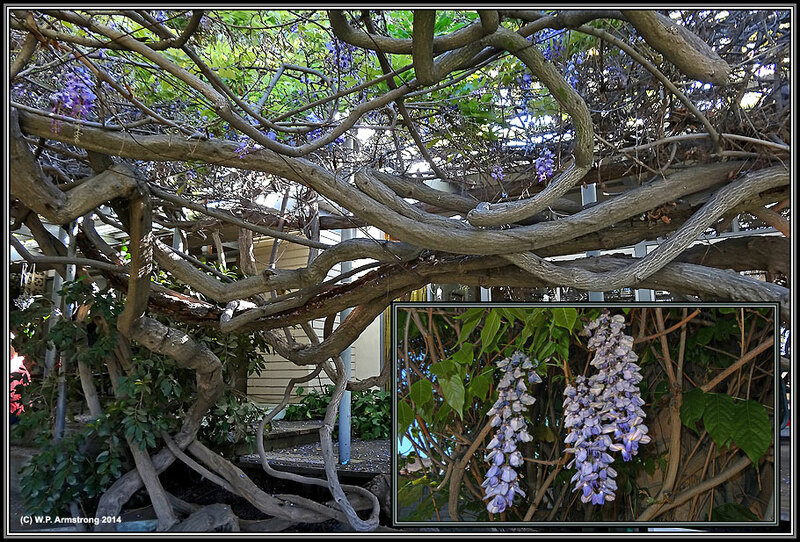 This is a giant wisteria vine weighing 250 tons and covering one acre. It is impressive, but not as massive as an aspen clone in Utah covering 100 acres! 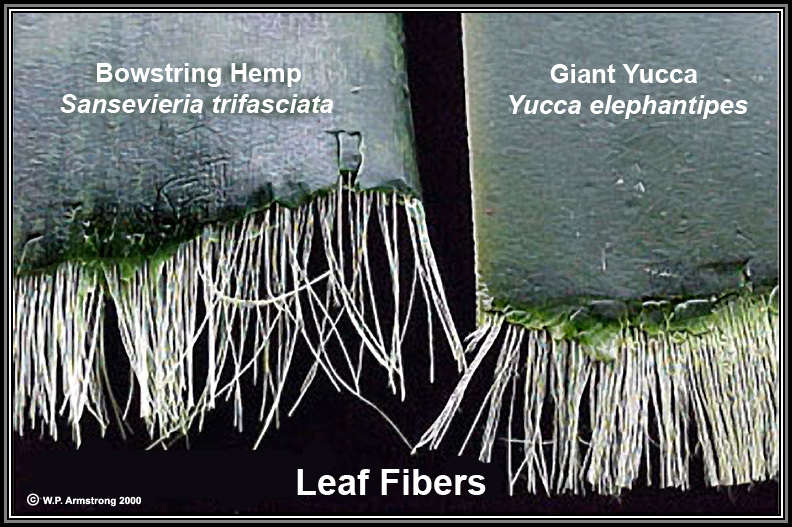 See Largest Flowering Plant. 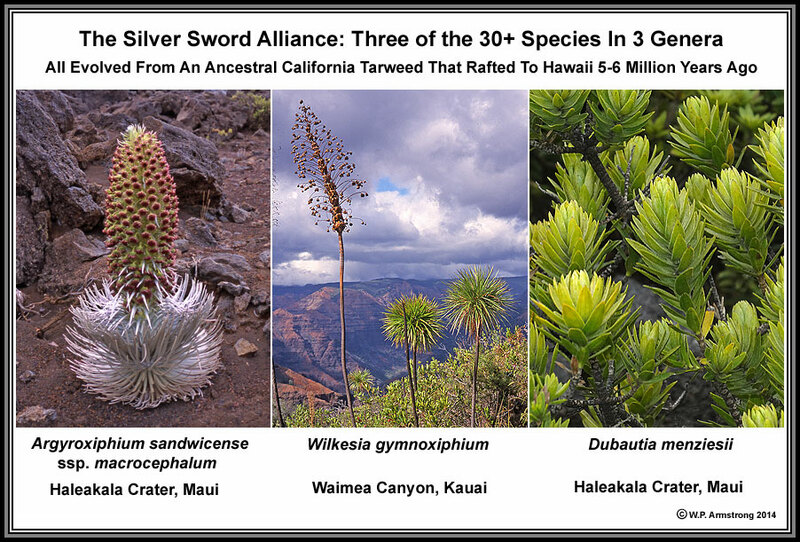 Three Wildflowers From March 2014: There are other places I would rather live, but I must admit that southern California has some lovely wildflowers! 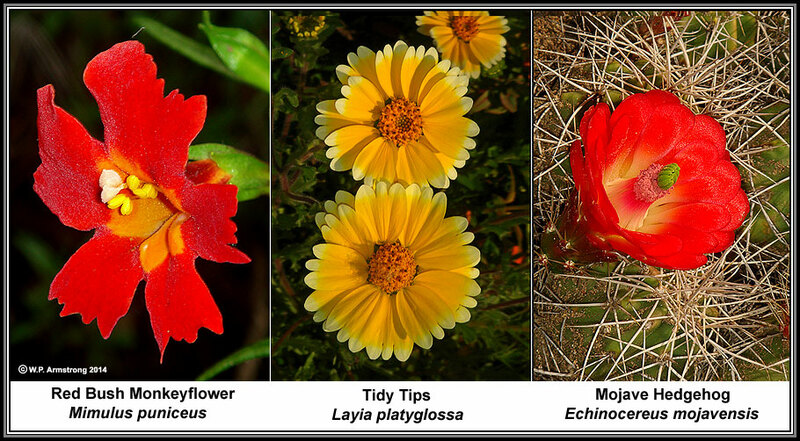 See Wayne's Wildflower Index. This is not an April Fools' Day joke. I actually found the spore-bearing structure (sporocarp) of this fungus (Pisolithus tinctorius) near my home in San Marcos. It does resemble a dead man's foot and almost fits my size 11 shoe. 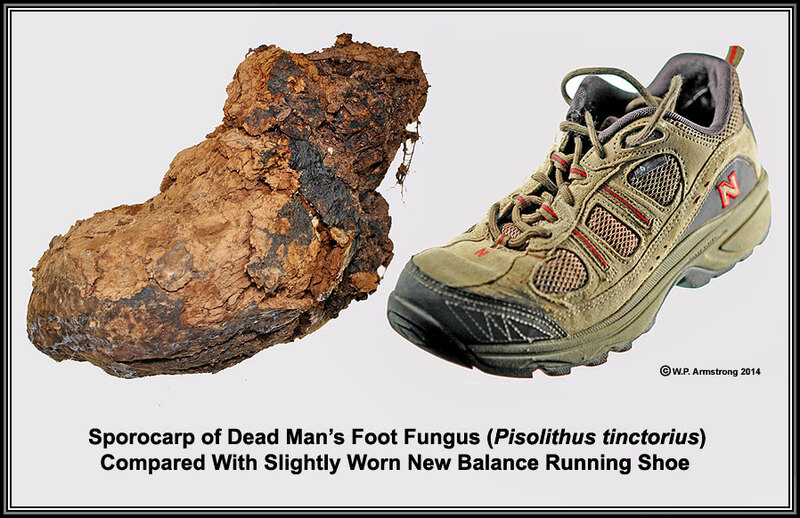 See Dead Man's Foot Fungus. Just finished my colonoscopy & endoscopy. I hope they didn't use the same scope! 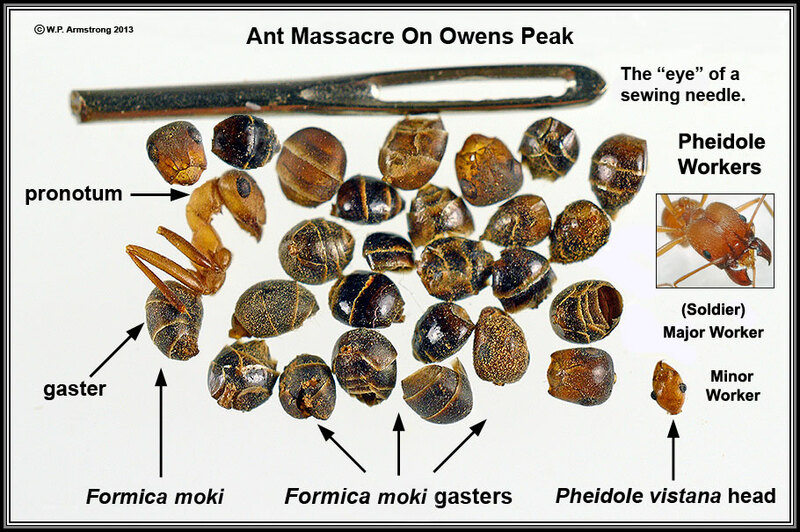 I was giving a short lecture on ant terminology until someone turned on the propofol. Now I know why Michael Jackson liked this drug so much. 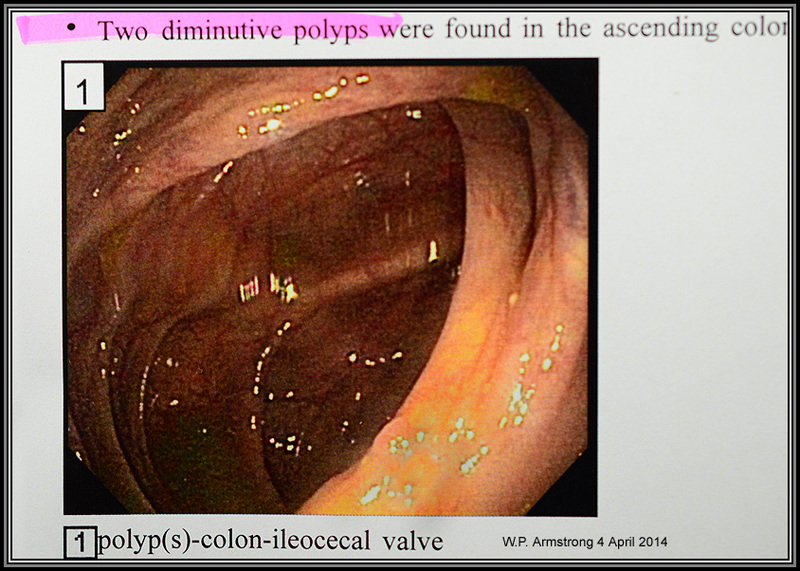 Two types of polyps (adenomas): Tubular & Tubulovillous. Microscopic, stained sections reveal a distinctively different anatomical structure. 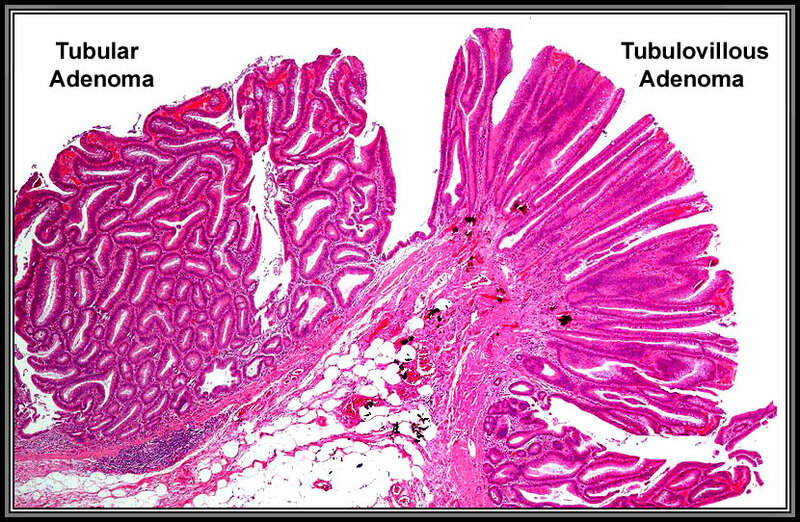 Tubulovillous adenomas (TVAs) are considered to have a higher risk of malignant transformation than tubular adenomas. They typically require a repeat colonoscopy in 2 years rather than 5 years. 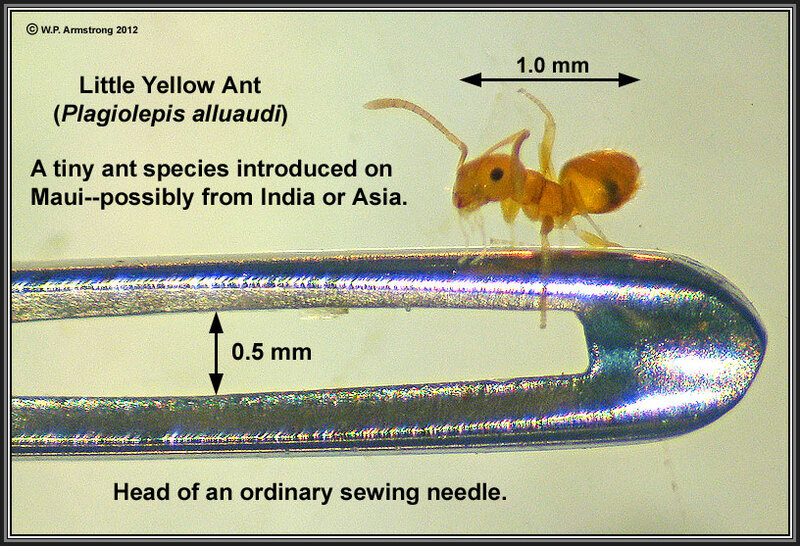 Image from Wikimedia. This image of a bizarre fungus was sent to me from Stephanie Mifflin in Japan. 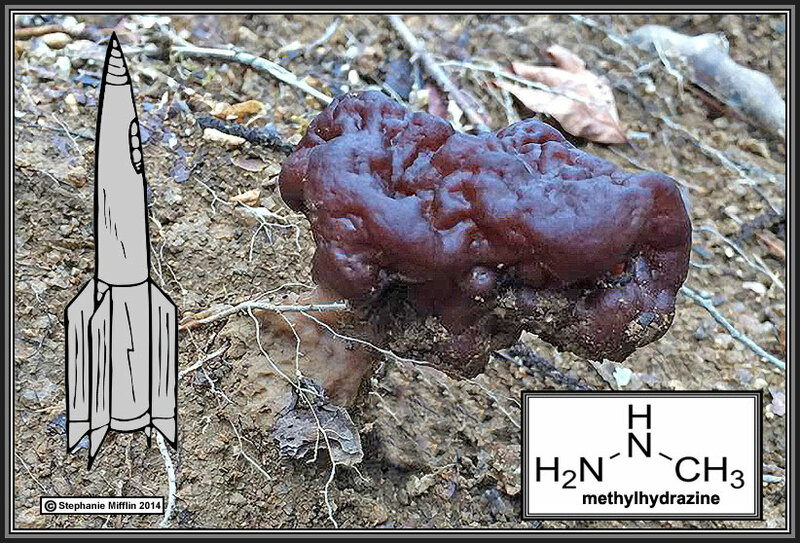 It is called false morel or brain fungus (Gyromitra esculenta) and it is a dangerously poisonous. 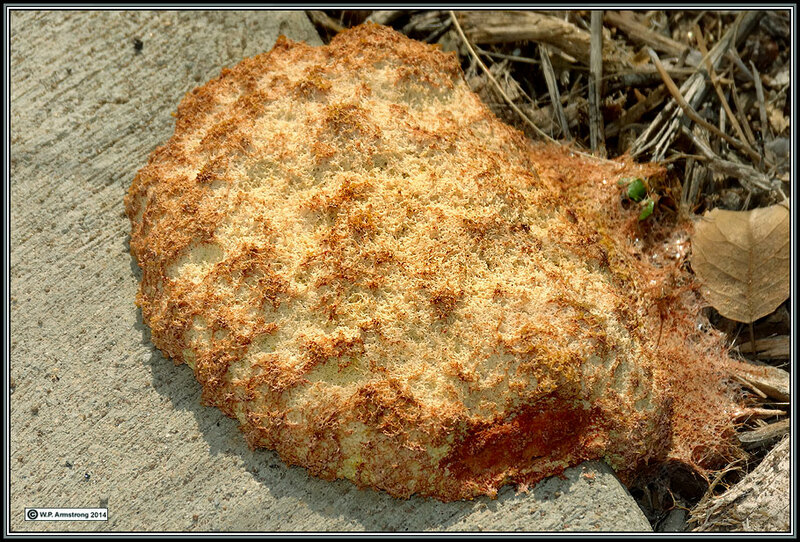 Even the vapors inhaled from a boiling pot of this fungus are poisonous. The active toxic compound is gyromitrin which is metabolized (hydrolyzed) in the body to methylhydrazine, a component of some rocket fuels! In fact, the Apollo Lunar Modules used a hydrazine mixture for landing and takeoff.